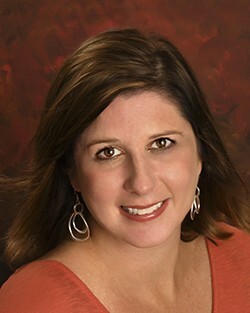 Amanda is a longtime real estate veteran who assembled this core group of dynamic Realtors. She loves being a part of such a strong group of smart, friendly and successful women. A domestic goddess, wannabe yogi, and cupcake connoisseur, Amanda finds joy in serving on a number of community boards, including the board of directors for the Davie Community Foundation. In her spare time, she enjoys playing the ukulele (for real) and dreaming up fabulously creative names for nail polish colors (her dream job). There isn’t much down time though—Amanda is wife and mother of two, three if you count the family pet Vizsla. She is a tennis state champion with a generous heart for serving others in the Advance community. Her family is active at Calvary West and you’ll often find her and her husband, Darren, cheering on their children at the tennis court or at a music recital. Amanda believes in working hard and playing hard. Amanda juggles her successful real estate career with a number of community activities.